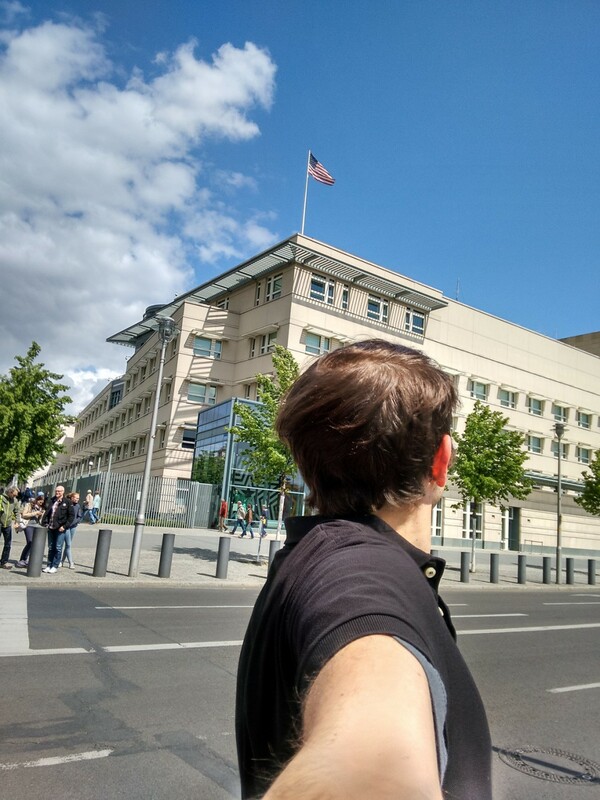 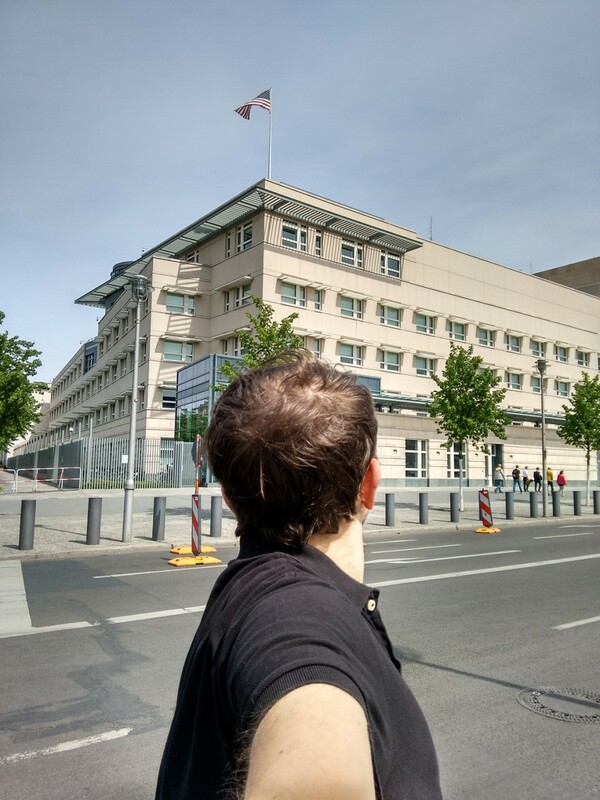 Throughout the week of May 11th-17th, I visited the USA embassy and waited for a miracle. 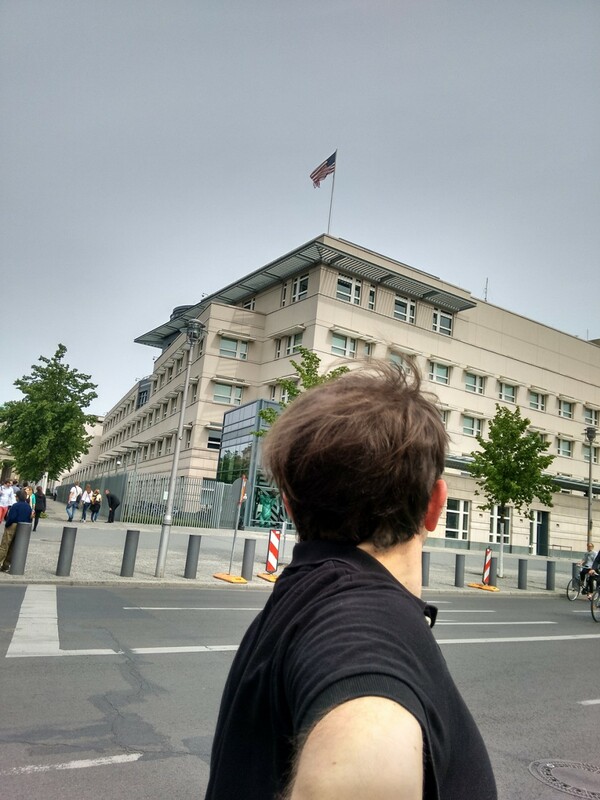 By miracle I mean some sort of tangible and instant improvement in the quality and effectiveness of governance or an actual physical change to the embassy building itself (I retain the right to define a miracle as I please). 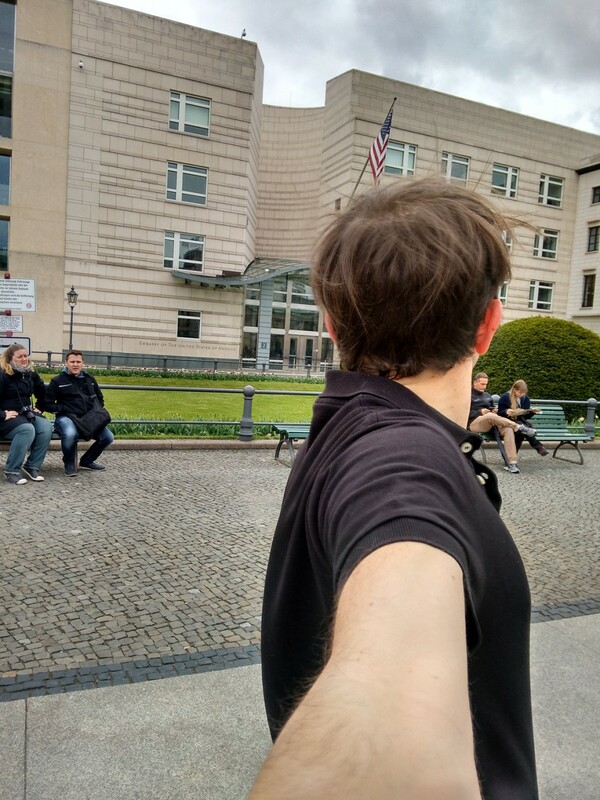 The performance consisted of me arriving at the location and waiting without a specific set duration. 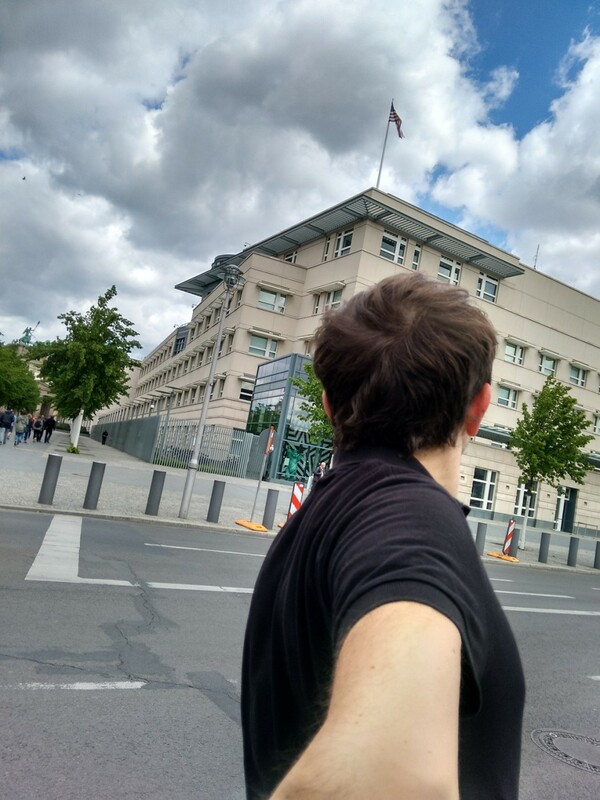 When I got bored or lost “faith” I left. 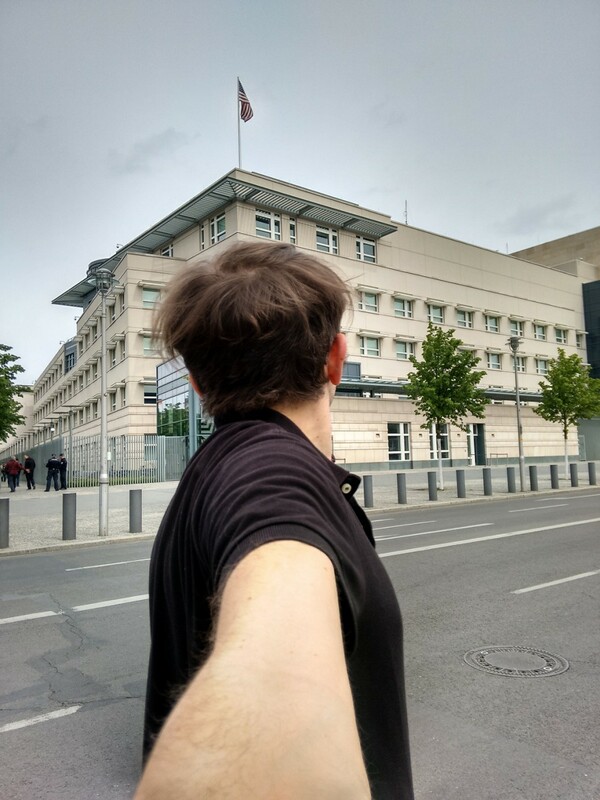 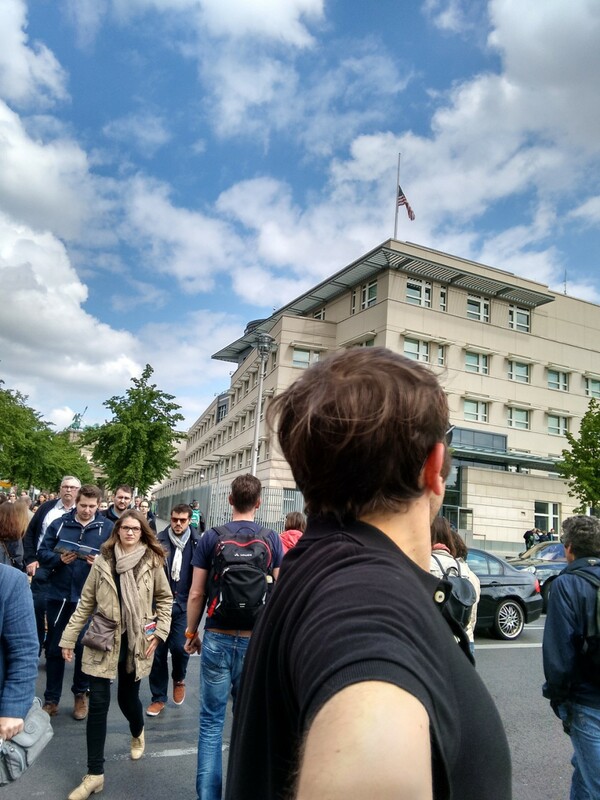 Each performance was documented with a selfie type photo, taken so that the embassy and I were both in the frame.